Jefferson Health's Department of Nursing is committed to providing the best possible patient care throughout South Jersey. Welcome to the Department of Nursing at Jefferson Health – New Jersey. Here, you will learn about nursing excellence and our recent Magnet® Recognition. This designation, awarded by the American Nurse Credentialing Center, is the Gold Standard for nursing excellence and is achieved by less than 8% of hospitals nationwide! Magnet status reflects a commitment to nursing professionalism, teamwork, and superiority in patient care. Research has shown that Magnet recognition provides specific benefits to healthcare organizations and their patients, including higher patient satisfaction with nurse communication, a lower risk of 30-day mortality and lower fail-to-rescue rates, as well as higher job satisfaction among nurses. Our four-year journey to Magnet status was a rigorous and lengthy process that required widespread participation from leadership and staff. Jefferson Health – New Jersey is proud to have achieved this prestigious recognition and proud of the care our nurses provide each day. We hope you enjoy learning about our nursing program as you visit the different links. Jefferson Health’s New Jersey-based hospitals (in Cherry Hill, Stratford and Washington Township, formerly Kennedy University Hospital) have achieved Magnet® recognition, becoming the first hospitals in Camden and Gloucester counties to receive what is considered the gold standard for nursing excellence. The American Nurses Credentialing Center’s Magnet Recognition Program® distinguishes organizations that meet rigorous standards for nursing excellence and is a reflection of their nursing professionalism, teamwork and superiority in patient care. With this credential, Jefferson Health in New Jersey joins the global community of Magnet-recognized organizations. Just 477 Magnet-recognized U.S. healthcare organizations, out of more than 6,300 U.S. hospitals, have achieved Magnet recognition, placing Jefferson’s New Jersey hospitals on an elite list of top nursing hospitals in the country. The Magnet designation includes the two Jefferson Health Outpatient Dialysis Centres (in Voorhees and Washington Township, NJ); the Sidney Kimmel Cancer Center – Washington Township, and its Surgical Center in Washington Township. Research demonstrates that Magnet recognition also provides specific benefits to healthcare organizations and their patients, such as higher patient satisfaction with nurse communication, a lower risk of 30-day mortality and lower failure-to-rescue rates, and higher job satisfaction among nurses. The Magnet Model provides a framework for nursing practice, research, and measurements of outcomes. Through this framework, ANCC evaluates applicants across a number of components and dimensions to gauge an organization’s nursing excellence. The foundation of this model comprises various elements deemed essential to delivering superior patient care. 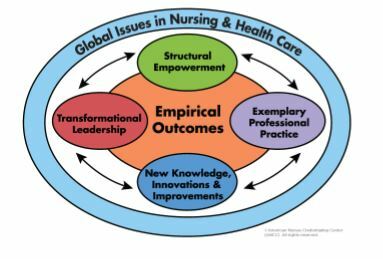 These include quality of nursing leadership and coordination and collaboration across specialties, as well as processes for measuring and improving the quality and delivery of care. To achieve Magnet recognition, organizations must pass a rigorous and lengthy process that demands widespread participation from leadership and staff. This process includes an electronic application, written patient care documentation, an on-site visit, and a review by the Commission on Magnet Recognition. Jefferson Health’s three New Jersey hospitals join Philadelphia’s Thomas Jefferson University Hospital; Jefferson Hospital for Neuroscience; Jefferson Methodist Hospital, and Abington Hospital as Magnet-recognized.